Kiplinger is teaming up with the National Association of Personal Financial Advisors (NAPFA), whose planners will answer questions on retirement planning and other financial challenges. Submit your questions here and get free personalized financial advice on Thursday, February 20, from 9 a.m. to 5 p.m. ET. Welcome to February's Jump-Start Your Retirement Plan Q&A! The floor is open for questions if you'd like to submit one ahead of time by clicking "make a comment" above. I'm confused about how to calculate the amount of money I can save for retirement each year - including the additional money as I'm older than 50 y.o. Re: calculating the amount of money per year I can save for retirement when i'm older than 50. Do I include the matching funds that my company adds to my retirement money? Do I include the amount of money that my company puts into a separate retirement plan that is part of the retirement package? I have control over the money in deciding how to invest it, but it's separate from the 403b that I contribute to and that is partially matched by the company. Andrea and all, just remember that even if you can't contribute to an IRA you can still save the money in a taxable account. Indeed, many of my clients who only have money in retirement accounts find out that it would be nice to have some outside of retirement accounts. For instance, if you want to retire at 55, you will have to pay a 10% penalty on withdrawals from retirement accounts if that is all you have to fund your expenses. That's a great point, Andrea! What about the 401(k) option? We have the option of traditional 401(k) or Roth 401(k) through work. Is that also limited to $10k? Katherine - I think it's almost always best to roll old retirement plan accounts to either your current employer or an IRA. Here's why: Employers sometimes change plan providers and sometimes old employees move around the country. Keeping track of the administrative details is the problem. Do they have your new address? Did you old funds get mapped over to the new investment company when your old employer changed investment companies? I've see things break down when that stuff occurs. Not worth it in my opinion. We had not considered nonretirement accounts and I admit we don't know much about it. Dear Kiplinger, I bought a condo as primary residence for $170K near the peak of the housing market in 2004 before I got married. Then converted it to rental property in 2010 (market value of the condo at the time was roughly $80K) after we moved to a townhouse as primary residence. I have been renting it for 4 years and current market value of the condo is $105K. If I want to sell the condo in the near future, what kind of strategic tax planning should I make? Do I have financial loss here? How much and can I carry it over? Thanks. Aileen. Hi Roger: I agree with Walt and would add that it's not worth trying to predict where future tax rates will go many years in the future. Saving for your goals in various "pots" will give you added flexibility with dealing with your future taxes. Kate, we say it is "never too early," AND "never too late." I work with a lot young adults because, the sooner you make course corrections, the more likely you are to reach your goals (which will change over time). If you wait and haven't saved enough, doing so will only be more of a burden. Aileen, are you upside down on a mortgage for the condo? Now Kate, let's talk specifically about the student loans. We want to be sure you get those paid off. But I suspect the interest rate is less than the LONG TERM earnings you might expect on you investments. Therefore, I would probably calculate how much I would need to pay off the student loans in a specific time period that suits you and then save the rest in a retirement/investment account. The money you save when you are young grows incredibly by the time you retire. Aileen - I will have to refer you to a tax professional because you have rental real estate issues as well. I don't think I can answer your question. I apologize. STUDENT LOAN CAUTION - If you have taken out huge loans...6 figures...you need to work the balances down BEFORE you increase your lifestyle. For instance, you have worked hard and gotten that law degree and feel like you deserve the fancy car or big house. Well, you do. But I promise you that in the long run, you will be happier by just increasing your lifestyle a little when you get that new job (the life of a student can be pretty barren) and put as much of that new salary against that big loan as you can. Hmich - Social Security is either in one of three tiers: none of it is taxable, 50% of it is taxable, or 85% is taxable. You might be in the top tier with two other pensions and rental income. Mulbyte - Yes you should be able to roll your 403b to an IRA with no difficulty. The 72(t) rule is for people who need income from theri IRA before age 59-1/9 and don't want to pay the 10% tax penalty. However, you have to continue withdrawals for the longer of five years or attainment of age 59-1/2. You didn't say how old you are or if you need the income now. Jeff that's a great question, but without having access to all the other pieces on your chessboard I can't tell. How old are you? What is your retirement income goal? What is your risk appetite? There's no way to answer that question without more information. Aileen - you may have missed my earlier answer. I think you need to speak to a CPA or tax professional about your condo. I'm not able to answer it on this forum. Too many moving parts. Jeff, please realize that I am shooting in the dark here. I don't know how old you are or what kind of retirement income you need. There is never any need to take more risk than you need to take to fund your goals. That said, if you retire at 65 and live until you are 95, that is a long time period and you will need growth of your other assets as the pension benefit (which I assume is fixed) looses buying power because of inflation. I suspect the present value of the stream of those pension payments is perhaps 2 million. So you really have 2.5 million in fixed and 350K in the stock market That's only about 12%. Usually even my most conservative clients have 25-30% in equities. Rita it would make sense to start with the money market first, then the Roth IRA, then the stocks and the 401(k) last. My answer is based on the taxable nature of each asset type. I hope you find new work soon, if unemployment is the reason for this! Rita - I missed the mutual funds, but you could sell those after the stocks, but hopefully you won't need to. The key point here is that the 401(k) should absolutely be last. When applying for Social Security does it matter what day of the month my birthday is ? In other words if I turn 66 on any day other than the 1st, do I have to wait until the next month to apply for full benefits ? Hi Paul: it's not necessarily true that bond funds will always lose money when interest rates rise. Bond fund managers are very aware of this risk and try to manage it (depending on the fund's mandate). That said, you could consider owning high quality individual bonds (still risky) and holding them to maturity. You'd want to consult a knowledgeable investment pro if you went that route. Just a reminder that questions are being answered in the order that they are recieved. We have a high volume of great questions in the queue, and we will get to them as quickly as we can! Are there any so called 'hybrid' annuities (no loss of principal when market goes down) that have immediate income riders paying at least 5%? Rita, if you are unemployed, please remember that you don't have to wait for your dream job to get at least a little income flowing into your household. Perhaps part-time work could mitigate the need for spending down your assets. swampfox - Talk to Social Security a month or two before you want to elect benefits. They will set up your first benefit check which is always paid in arrears. So if you turn 66 on March 1, your first check will arrive on April 1. Hi jrchatfield: the math is a bit complicated than that, but I think your line of thinking is pretty close to reality. Hi Abbie - Since your question revolves around a products that NAPFA advisors don't typically study, I'm not sure anyone on this forum can really intelligently answer your question. However, there may be other ways to structure your end objective without purchasing an annuity. I encourage you to seek other solutions in addition to the annuity idea and go from there. Roger, it would be helpful to know what kind of return you would be getting if you annuitize. For instance, let's say the annuity provides an internal rate of return around 3%. You or an advisor could figure out what the present value of the annuity is and see how that compares to the lump sum being offered. But that would still beg the question- what are you going to do for income after those 15 years are up? ANNUITIES WITH FIXED PAYMENTS - remember all that they will loss buying power over time. So you need to be saving part of those early payments to make up for this. Hi Scott - As you're probably aware, converting a 457 to a Roth IRA is a taxable event. One way to tackle the conversion is to do it over a number of years, in small bites. If you keep an eye on your marginal tax brackets, you can possibly "soak up" lower tax brackets with Roth conversion amounts, while minimizing taxes. I know I'm getting a bit technical, but a good tax preparer can guide you properly. Dennis - you've stumbled onto one of the hottest "switching strategies" right now in Social Security planning. In fact, I've done something similar to this with my own clients. Make an appointment at your local SS office and they will lay out the options. Good luck. Hi Michael: I'm not familiar with the specifics of Oregon's 529 plan (I'm quickly glancing at it now). Generally, what is most important when savings for college is making sure that the money is there when your child enters school. Being too aggressive could mean the college savings pot could fall below what you put in and come up short on funds. Chuckie, it depends on which CFP you get:-) While I am sure there are some great advisors who work for those companies, I have heard advice from them that I don't agree with. This is largely because they don't know that much about you, the client. Target date funds are certainly an easy and viable solution. But I suggest there is a third alternative. Several NAPFA advisors will work on an hourly basis. They could help you look at the bigger picture (what do you want you assets to fund?) and then you could see what kind of return you would need to make to satisfy those goals. The investment allocation would flow from that. I've often wondered how investment advisors decide how to allocate investments without knowing this important piece of the puzzle. In any event, the charges for such sessions would likely be very reasonable and most of those advisors (if they are fee only) are going to use low cost investment vehicles like Vanguard funds. 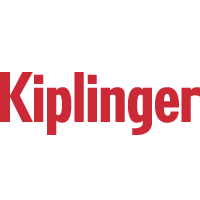 www.kiplinger.comThese moves can increase lifetime Social Security benefits by thousands of dollars. 1. I have two CDs that will expire in 2014 and 2105. I want to put them in my brokeage Primary Money Market fund and also contribute money to this same account. I currently have an annunity contributing $4600. I plan on stopping this payment the end of this month and contribute this amount to my brokeage account. Is this a good idea? I am max out on IRAs, 401k. My annunity is a flexable retirement annuity, like a savings account; however, I do not want to exceed the $250,000 insurance limit for the state of Texas. I am not sure where to put this $4600. Thank you for your support.